This recipe for double chocolate chip muffins in mini form is easy to make, requires no mixer, and ready in about 25 minutes. These moist mini chocolate muffins with crispy tops make for a fun breakfast or dessert! Some weeks get so busy that I don’t even have time to bake (surprising, I know). We just have cereal or oatmeal every single day. It gets old and it gets boring really fast. You should see the look on my kids’ faces when I give them oatmeal for the third time in a row. 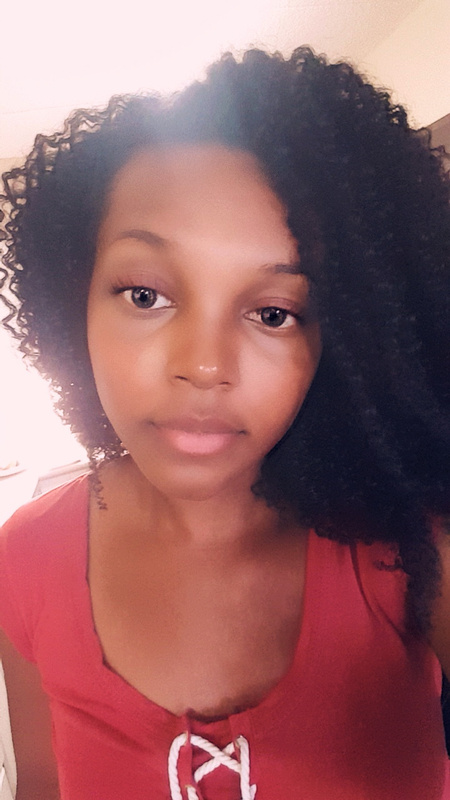 So clearly sometimes I have no choice but to spice things up. So what do you do when you have an almost-empty container of cocoa powder, half a bag of chocolate chips, and only one egg? You make mini brownie muffins, of course! These are not your typical, every day muffin. These are special occasion muffins. They’re decadent muffins. You make these when you want to indulge in chocolate-y goodness without breaking the bank. Have them with a tall glass of milk and you’ve got yourself a perfect lazy-day, chocolate lovers’ breakfast. 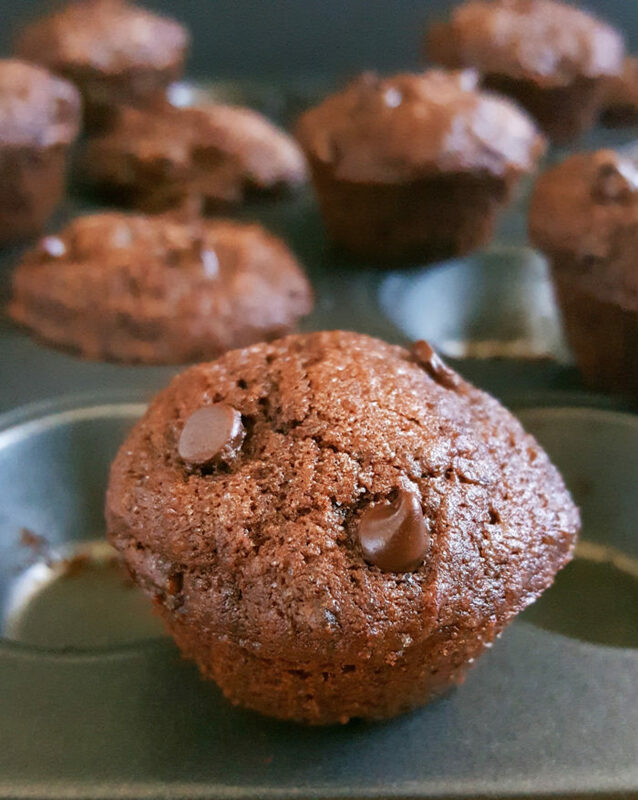 Moist chocolate muffins are the best, especially on the weekends. 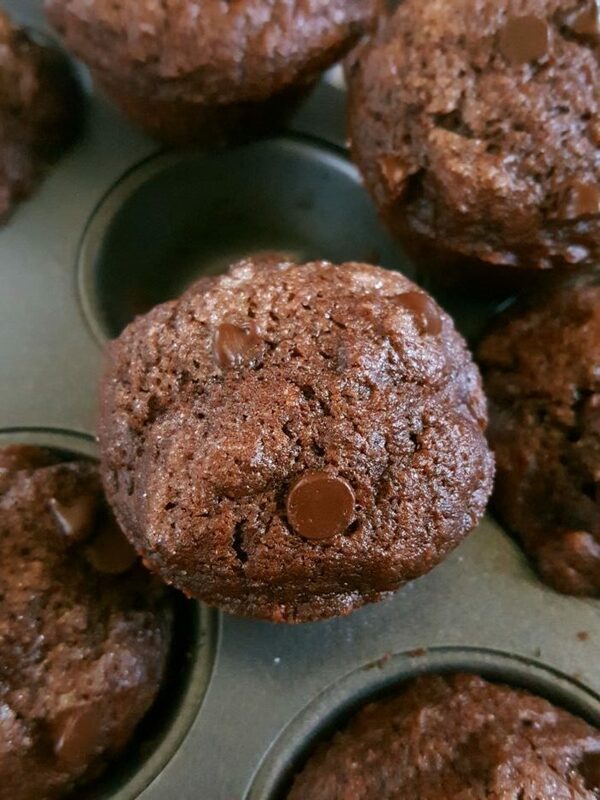 These double chocolate muffins are made with butter for richness and flavor, sweetened with brown sugar also for flavor and moisture, and sprinkled with granulated sugar for slightly crispy tops. 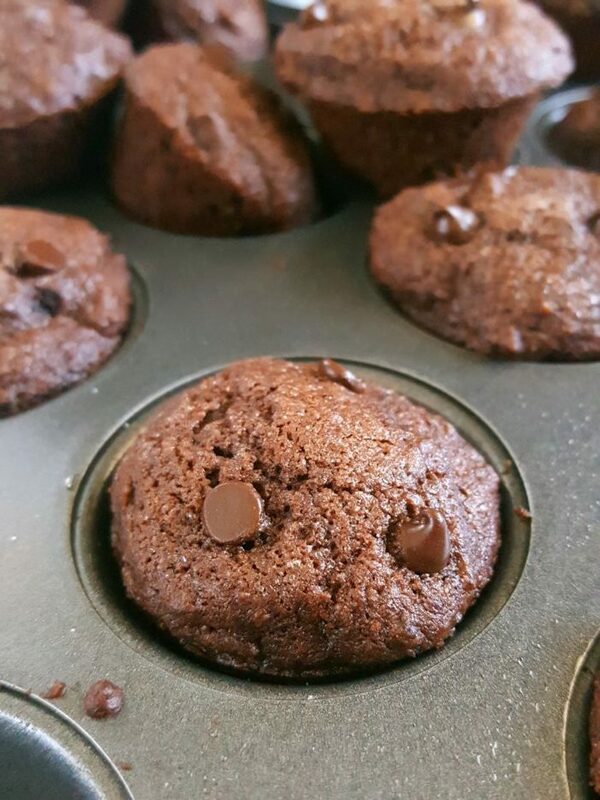 I was planning on only using granulated sugar for this mini double chocolate muffin recipe but I love brown sugar muffins. Plus, brown sugar in chocolate baked goods is the best. I added that little bit of white sugar to help emphasize those crackled tops and it worked out well. Both sugars get to shine. They have a muffin texture but they taste so much like brownies because of the cocoa powder to flour ratio. Some might argue that these taste like chocolate cupcakes. I just know that anything that tastes like any kind of chocolate treat is a winner in my book. This recipe calls for semisweet chocolate chips but I think any kind will work, even white chocolate! Next time around I’m definitely giving the milk chocolate ones a go. If you wanna get really creative, substitute the chocolate chips for peanut butter chips instead. Yeah, peanut butter chip mini chocolate muffins sound really good. You can’t go wrong with that combo. This chocolate muffin recipe is not only easy to make, it’s fun to make too. Although you need two bowls everything comes together quite quickly and effortlessly. It only takes about 25 minutes from start to finish and you most likely already have everything you need on hand! Preheat oven to 350°F. Prep the mini muffin pan and set aside. In a large bowl combine butter, sugar, and salt. In another large bowl whisk together the flour, cocoa powder, and baking powder. Add the dry ingredients to the wet ingredients and mix until fully incorporated. Fold in the chocolate chips. Scoop the batter into the mini muffin pan. Sprinkle each muffin with a pinch of granulated sugar. Bake for 11 – 12 minutes. Cool in pan 10 minutes. Making chocolate mini muffins from scratch is not complicated at all. DO NOT pack the cocoa powder! This will result in much denser and dry muffins. So just take a spoon, fluff up the cocoa powder (make sure there are no lumps in the process), spoon it into the measuring cup, then level it off. It’s necessary to mix all of the dry ingredients in a separate bowl to ensure that there are no lumps of cocoa powder in the finished product. You don’t wanna be biting into muffins with pockets of dry and bitter cocoa powder! Gross. These chocolate chocolate chip muffins are so soft, moist, and filled with melt-y chocolate chips. I prefer to have them while they’re still warm but they taste great fully cooled too. By the way, These babies are only 80 calories each! 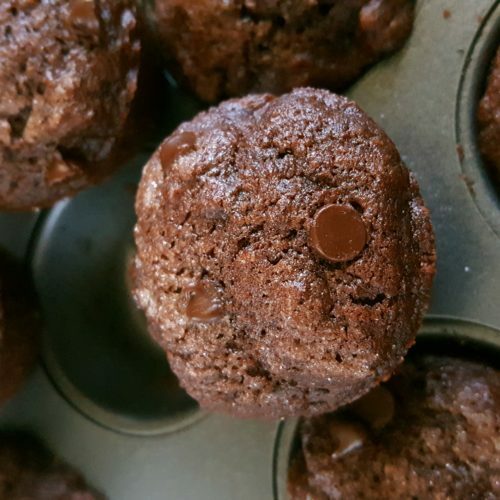 As if there weren’t enough reasons to love these bite-sized brown sugar cocoa muffins. 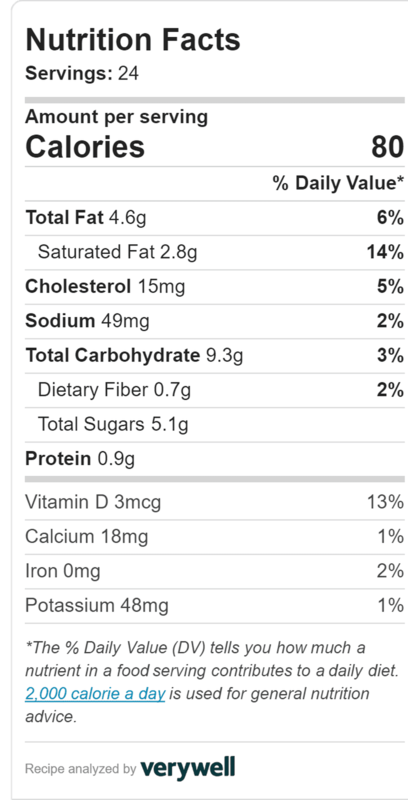 You can find the nutrition facts at the very bottom of the recipe. If you simply love chocolate check out my other easy chocolate recipes! Add the dry ingredients to the wet ingredients and mix until fully incorporated. Do not overmix. Fold in the chocolate chips. Scoop the batter into the mini muffin pan filling the cups to the top. Sprinkle each muffin with a pinch of granulated sugar. Bake for 11 - 12 minutes until a toothpick inserted comes out clean.